A HARVARD TEAM OF ORGANIZATIONAL DEVELOPMENT consultants did a sampling of nearly 14 years covering 2000 Chief Executives of global companies listed by S&P. The sampling and tests were fairly exhaustive and unique, and presented a vivid picture of the Executive boardrooms that saw many major global economic events including the Y2K IT burst, Oil-price surge and dive, and 2007 economic down-turn, among others. Though the headline making "attribute" of the published list came out highlighting that the first three of top 5 best performing executives in the world do not have a formal degree in management. Three of the top five are connected to IT industry, and the other two are from petroleum and energy sector. Broadly, four out of 10 successful leaders in IT and six out 10 in energy sector do not possess such formal b-school education. Overall, there are less than 30% of the top 50 listed chief executives having any formal management degree. The top 5 have total industry experience of about 30 years. And there doesn’t seem to be any trend suggesting that having an MBA correlates with (or compensates for) lesser industry experience. Basis the media coverage of this HBR story, I did a small poll among peers of taking their opinions on the study, and one common question that I had for all was – what is the "special" expectation from a management grad from top management institutes. After all, this skill-set does command a certain premium over compensation and designation in the job market. Interestingly, alumni of these institutes could provide but a very sketchy and rather tentative reply. Whereas responses from non-MBA managers and professionals were found to be more thought-through. Ability to Influence: Given the set of rules and roles, constraints and commitments, goals and objectives, the problem definition is analyzed. The ability to influence these problem statement parameters (and success thereof) is the value-add that the executive can bring to the table. 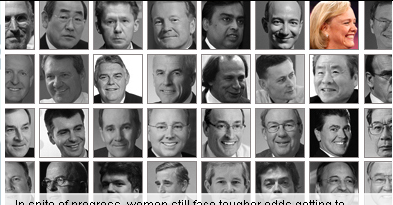 Negotiators are high-influencers and negotiators are a sort after folks similar to these executives. This should not imply however that all executives should be negotiators; it is important though that most of the activities in addressing the problem definition would involve various levels of negotiations by the executive. It is also important to become an influencer before becoming a decision-maker. Survive and surpass: The ability to survive in and surpass non-conducive and hostile situations directly correlates with the executive’s ability to stand-up and face challenges and adversities. Simply put, it is the attitude of the executive of not giving up and keep trying, and keep trying different things. (The expectation also arises from the fact that the executive has already surpassed trying conditions of cracking the entrance exams of premier institutes, and then has survived the onslaught of a tough curriculum.) The condition is the training. And the expectation is to have that training extended to the live working environment for the benefit of the project at hand. Dynamic Role-play and "Seasoning": The top spot of the hierarchy is a summarization of all the roles beneath. A hands-on leader has a clear advantage over a theoretical one in practical situations. Organizations, by design or by default, provide opportunities of taking on various roles in varied capacities. "Seasoning" or Role Maturity is a parameter by which role change is judged, initiated and calibrated. It is also a very effective personal assessment tool by which the executive can identify personal strengths and work on weaker areas. While on one hand this ability is personality driven (where certain individuals may pursue a specific vertical growth is a defined area), versatility indeed is what separates successful top-spot holders from the rest. Related article: NRN-Percepts of Being a Respectable Leader. Go here for the article at (new) HBR website. Go here for why Steve Ballmer of Microsoft might have missed any mention at all in the list.